Some came from another place entirely. Some (nicknamed “boomerangs”) lived in this area as kids, then found themselves drawn back to Farmington. Here we chat with five of them to find out what brought them to (or back to) Farmington. 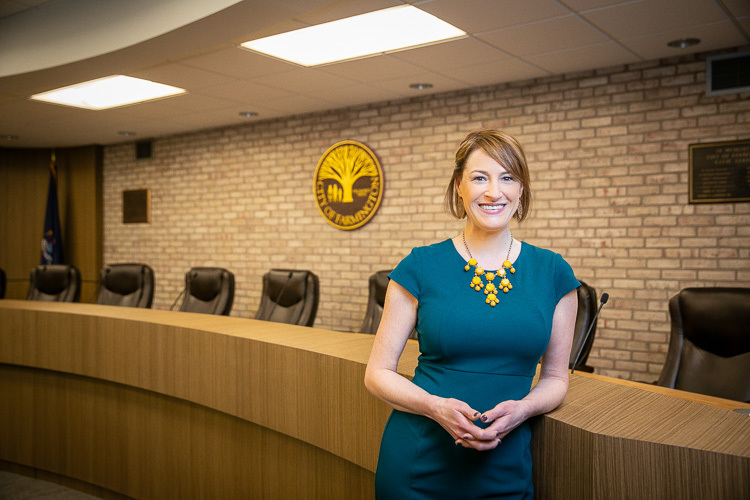 Perhaps no one was more surprised to find herself in back in Farmington than Jennifer Tomlinson, Farmington’s Deputy Clerk (and mom of three). Tomlinson had been 15 when she first moved with her mom to Farmington from Dearborn Heights, and she wasn’t a fan. She left town to attend Western Michigan University – “I hardly ever came home, because I felt like I didn’t connect with people here,” says Tomlinson – and then lived for a time in Florida and California before returning to Michigan. Even then, though, Tomlinson lived in Lake Orion, Waterford, and Macomb before the housing market collapsed.